This little girl is wearing a pink dress with a shawl collar and wide cuffs of lace. Her shoes are old fashioned black high tops. 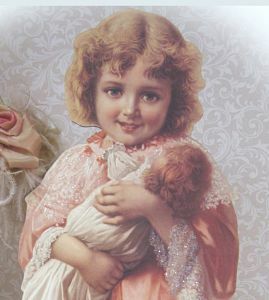 Cradled in her arm is the love of every little girl," Her Doll Baby". 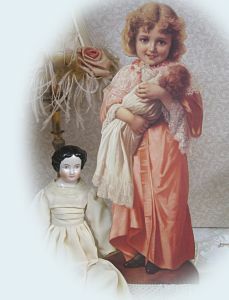 The doll is wearing a long white dress with ruffled bottom edge. Lace areas are enriched with hand applied glitz. 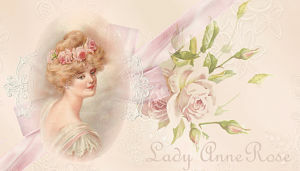 Can be used on floor, mantle, table or shelf.